Following the successful productions "Flying Bach" and "Flying Illusion", the Berlin-based Urban Dance Company Flying Steps invite you to their new production, which will celebrate its premiere in Berlin. In cooperation with the Nationalgalerie – which invited the Flying Steps through Udo Kittelmann to the Neue Nationalgalerie as early as 2010 – "Flying Pictures" will be created in April 2019 at the Hamburger Bahnhof - Museum of Contemporary Art - Berlin. Staged by the Flying Steps and famous Brazilian street artists OSGEMEOS, "Flying Pictures" combines elements of art, music and dance performance. Modest Mussorgsky’s „Pictures at an exhibition“"
"Flying Pictures" continues the idea of mutual inspiration and the interaction of different fields of art. At the centre of Modest Mussorgsky's famous piano piece of 1874 is a first-person narrator who strolls through the gallery rooms. The ten images he looks at as he walks through the exhibition embody different musical languages, each influenced by different styles and countries. The Fying Steps put this narrative into a visual movement for the first time in over 150 years. Instead of Mussorgsky's first-person narrator, dancers appear on a multidimensional stage, which can be viewed from several sides, in a choreography of elements of urban and contemporary dance. The composer-brothers Vivian and Ketan Bhatti – who have been working with the FLYING STEPS since 2009 and were awarded the Echo Klassik Special Prize for "Flying Bach" – adapt Mussorgsky's classical composition into a contemporary interpretation that corresponds to the beats and rhythms of the dancers. The piece will be performed live in the evening by an acoustic ensemble together with the German-Argentinean beatboxer Mando. The stage design also refers to the narrative of "Flying Pictures". It is characterised by fantastic figures and expansive elements that the Brazilian artist duo OSGEMEOS designed especially for the project. Victor Hartmann's works were the starting point for their artistic reinterpretation. 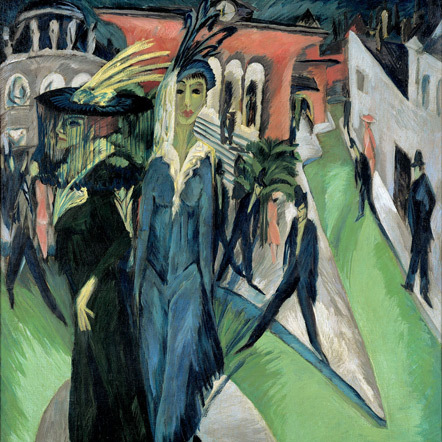 The fact that the underlying paintings are largely considered lost resulted in an additional imaginative, artistic field. During the day, the works of OSGEMEOS will be accessible to museum visitors in the form of an exhibition. 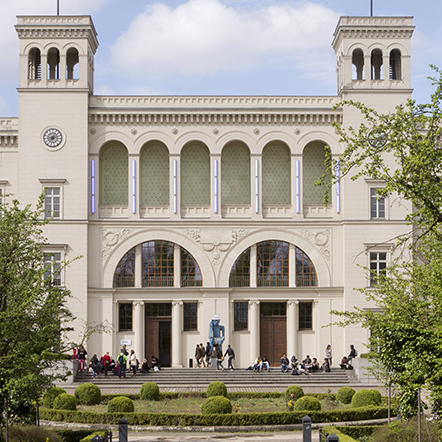 The Hamburger Bahnhof thus not only opens its doors in the evening, but also underscores its experimental understanding of a contemporary museum.